Home » Baltimore Sun » Cari Schemm » Chris Taylor » Cookie Tour » Megan Schulze » Mencken House » sowebo » Sylva Lin » Christmas Cookie Tour - Sunday, Dec 11! Christmas Cookie Tour - Sunday, Dec 11! 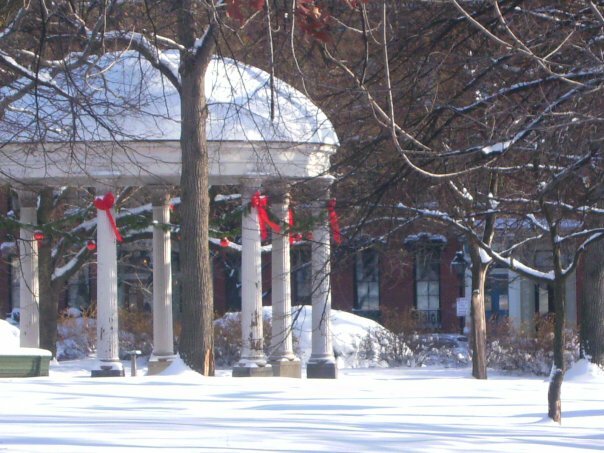 It's time for the Union Square Christmas Cookie Tour featuring the historic homes of Sowebo! This event brings a lot of excitement to the whole Baltimore area. Even people from outside of the neighborhood are enthused because the tour offers two irresistible draws: homemade cookies and the chance to look around inside other people's houses. Residents of the historic Baltimore neighborhood open festively decorated homes to the public to celebrate the holiday season, and visitors get a chance to tour the restored and preserved Victorian-era homes in full Christmas regalia - the decorations and the cookies are topnotch. As one visitor observed, "It's just not Christmas until we come to Union Square for the tour. It really gets our family in the spirit!" A bonus highlight is a tour of the H. L. Mencken House, former home of the famous Baltimore journalist, which is not normally open to the public. 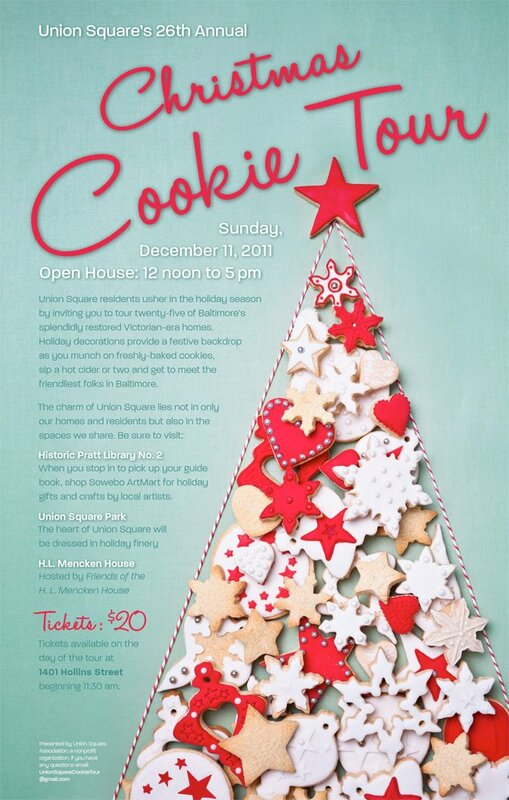 You're invited to munch some cookies, admire the holiday décor in the splendidly restored Victoria-era homes, and meet the friendliest folks in Baltimore. Tickets are on sale at 1401 Hollins Street for $20 starting at 11:30 AM on the day of the event - OR - save by buying the tickets online for only $15 via PayPal click here. Visit our website page with a countdown to the event plus other interesting links (including programs from previous years) - click here - plus see our Facebook page - click here. "Jingle Belles: Holiday Home Tours Light Up the Season"
Baltimore's Union Square Christmas Cookie Tour is often less about cookies than it is about the houses that open their doors to serve them. "These are Victorian houses, and they are almost always under construction or restoration," said Sylva Lin. "Everybody loves to come in and see the progress. And you get all sorts of advice. People will ask why you haven't finished the basement yet." Another reason the Christmas Cookie Tour isn't always about cookies? Some homeowners serve soup. "One of our houses is owned by a chef at Bonefish, and he served the most amazing corn chowder," said Cari Schemm. "And one served apple dumplings with real bourbon sauce. And another one of our homeowners said, 'I don't bake but I will serve you a great drink.'"